Yener Girişken, PhD (THINKNEURO / Managing Partner, Istanbul Bilgi University / Lecturer) is lecturer in Bilgi University, teaching neuromarketing at marketing communications master class. 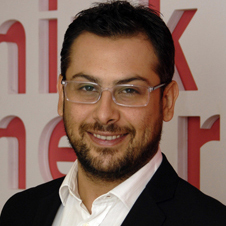 Girisken is the CEO of ThinkNeuro, the first and leader neuromarketing research company in Turkey, mainly focusing on advertisement, shopper experience, brand positioning and web design research. He had his PhD in marketing in Istanbul University and MBA in University of North Carolina. Dr. Girisken is NMSBA’s chair of Turkey.